I am trying to be more organised this year. 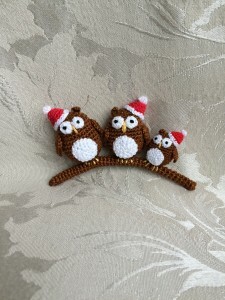 I’ve started making my Christmas decorations. Fasten off, leaving a long tail (use it for making ears). Using a needle, weave the tail through the front loops of the last 6 st(s), pull tightly and close the opening. 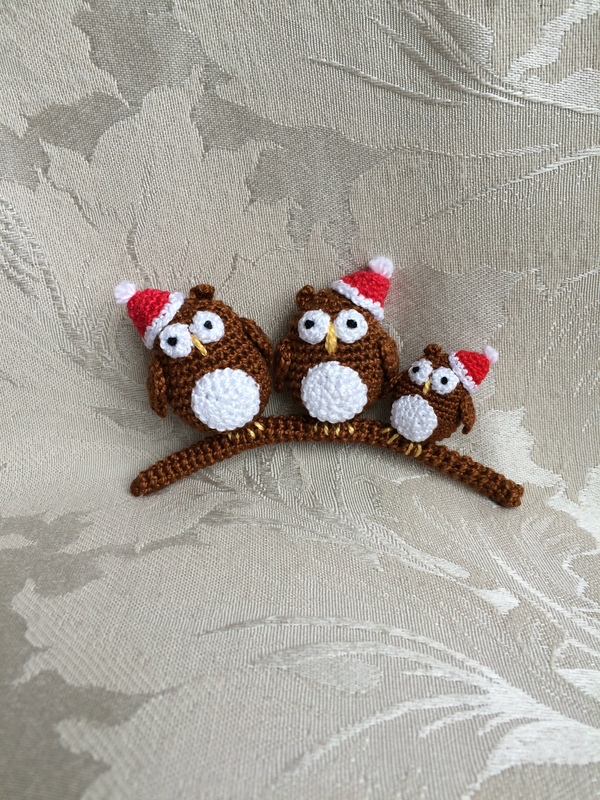 This entry was posted in Christmas, Owls and tagged christmas, christmas ornament, christmas owls, crochet. Bookmark the permalink. Habe ich gerade erst entdeckt, aber man kann ja nicht früh genug für das Weihnachten anfangen. They are really cute. 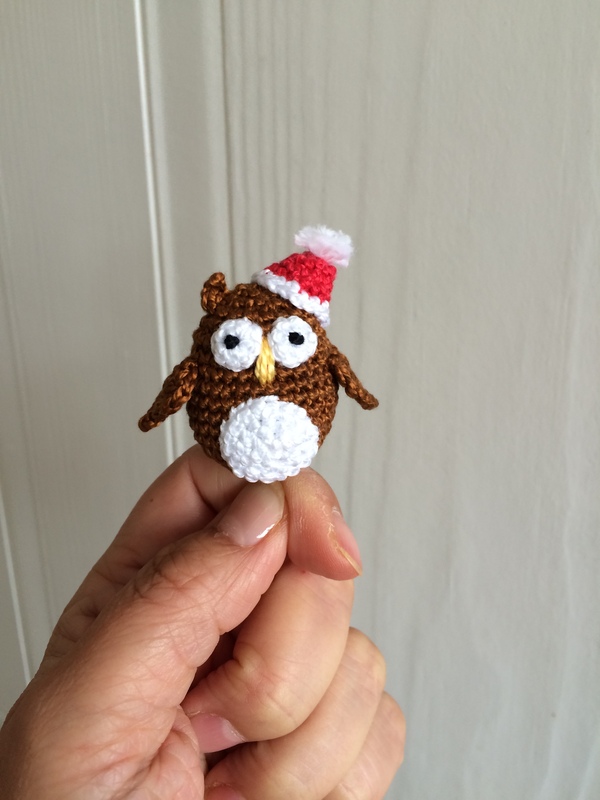 I’m going to try to make one 😊 Thank you for sharing! Hi can you please send me the patteen of the mice with the slides ? Super !!!! j’adore, merci pour ce modèle. Thank you! I can’t wait to try this. will be making it for my new grandson’s room! Très mignons ! Merci pour le modèle !